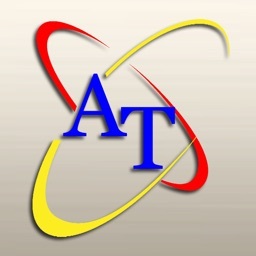 Attainment has been making augmentative and alternative communication (AAC) tools for 25 years. Our experience is front and center in GoTalk NOW PLUS, a flexible, easy-to-use, yet powerful app for people who have difficulty speaking. 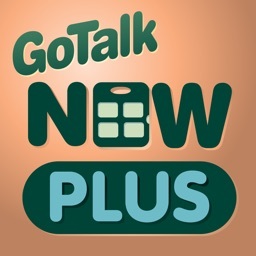 GoTalk NOW PLUS shares the same foundation as GoTalk NOW, and has all the essentials of an effective AAC app; adjustable page layouts, recorded and text-to-speech capabilities, and customizable navigation are all featured. So what differentiates PLUS from NOW? PLUS comes bundled with a wealth of extra content to help you get more out of the app. 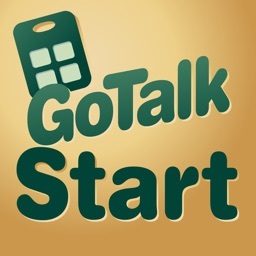 Between both SymbolStix and The GoTalk Image Library you have access to over 15,000 images! Also featured is Ready-Set-Communicate, a pre-made communication book for children ages 3-10. 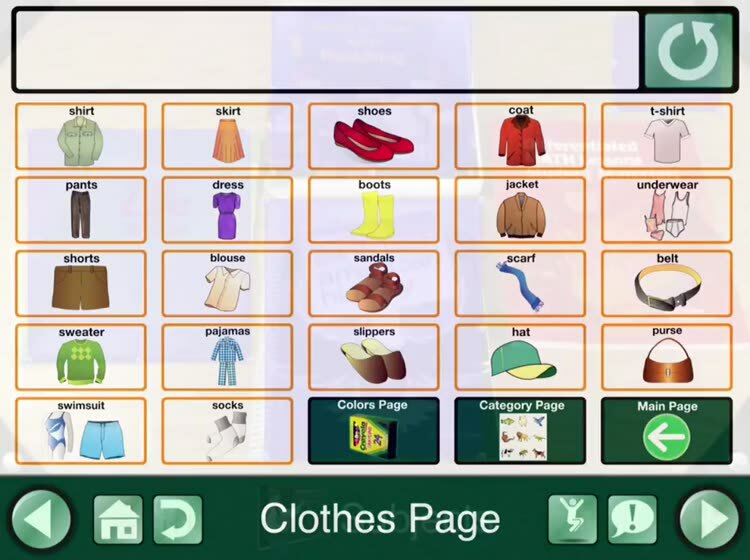 PLUS also contains 7 English text-to-speech voices, including 2 children’s voices. Please note an internet connection is required to download the additional content. 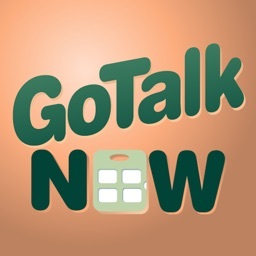 GoTalk NOW PLUS offers three styles of communication pages: Standard, Express, and Scenes. In Standard pages, the action occurs when the location is pressed. 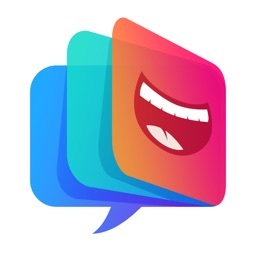 In Express pages, recorded or text-to-speech messages build in a speech bar and play in sequence when the bar is pressed. Scene pages are built around a single photo or image. 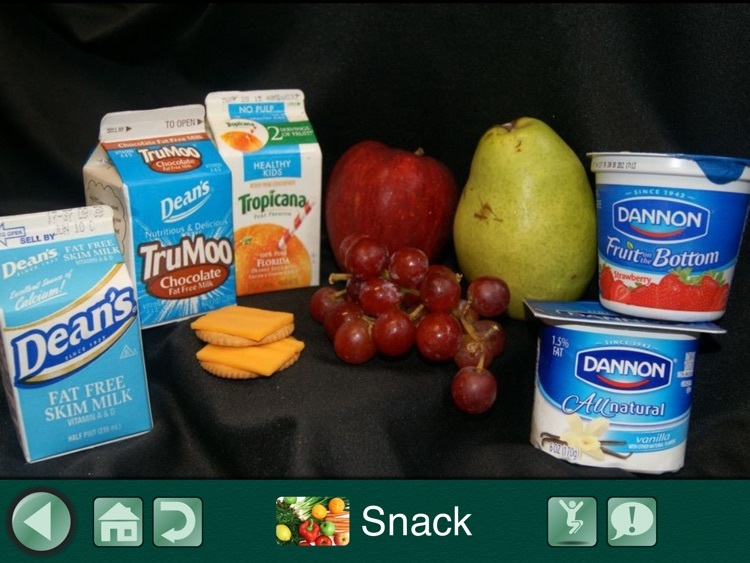 When you arrange invisible hotspots over people or objects in the photo, the hotspots play speech, music, or videos! Feel free to mix and match pages within a communication book. Create as many communication books as you need, each with unique settings and unlimited pages. Then share these books with other users via WiFi, and back them up for safekeeping via Dropbox or any Mac/PC. Envision the impact of blending video, music, and jump to actions among your pages. How cool is it to have your own private online galley to store and save your templates (up to five communication pages) for free, and to email these templates to parents and colleagues! 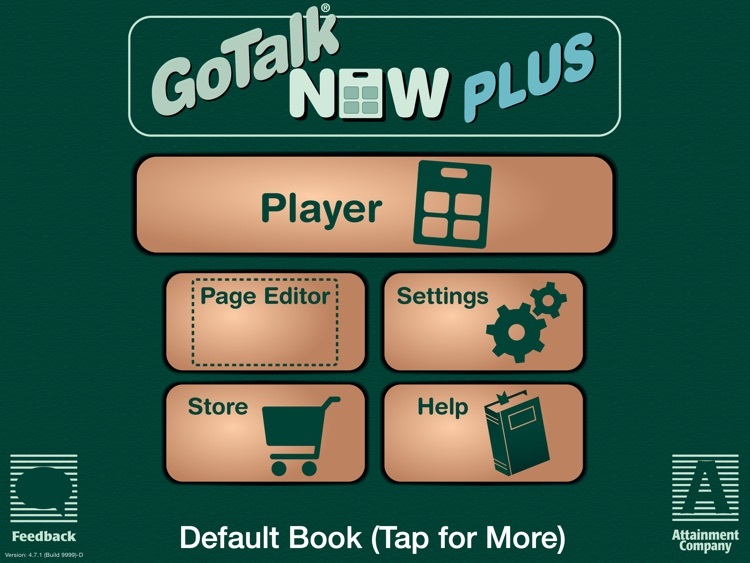 Furthermore, GoTalk NOW PLUS is a full-feature scanning app! • Choose 1, 2, 4, 9, 16, or 25 locations per page. 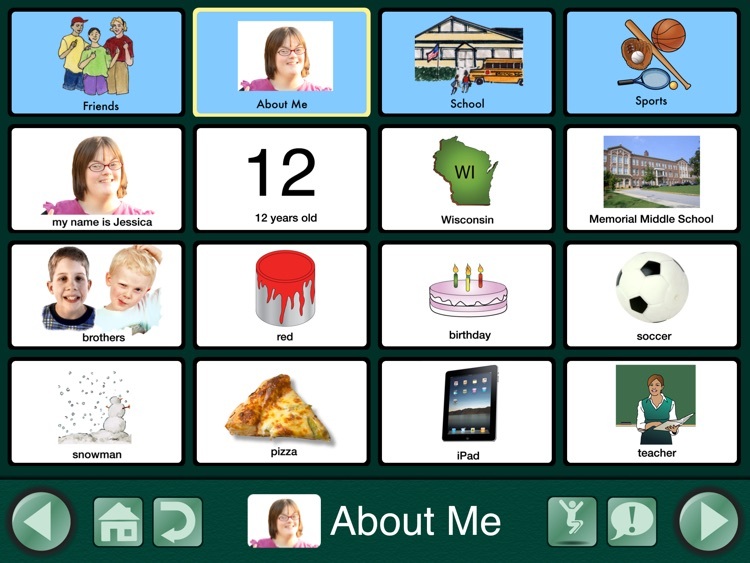 • Use images from your iPad camera, photo library, GoTalk Image Library, or SymbolStix symbols. • Includes free download for Ready-Set-Communicate, a pre-made communication book for children ages 3-10. • Purchase additional pre-made communication books in-app. • Buy additional voices for only 99 cents each, available in over 20 languages. 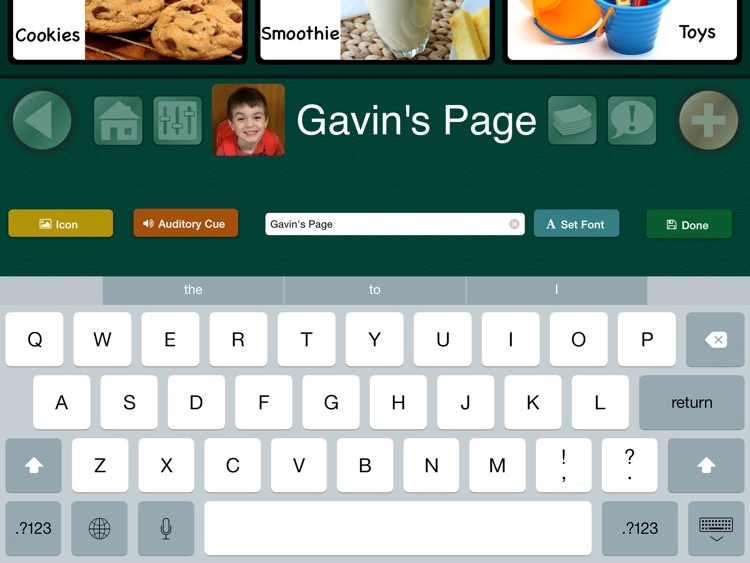 • Share complete communication books via WiFi with any iPad user who has NOW or PLUS. • Download and edit pre-made templates from Attainment’s collection on the public gallery, also free. • Access PLUS with single or two-switch scanning. GoTalk NOW PLUS participates in Apple's Volume Purchasing Program for Education in the United States.